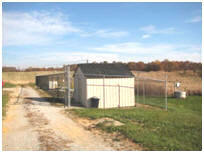 The Harrison County Regional Sewer District (RSD) is an independent entity of the State of Indiana authorized by the Indiana Department of Environmental Management. The RSD operates as a self-supporting utility. The RSD has no taxing power but can issue bonds payable from revenues earned from services provided. The RSD strives to use the best technology and operating practices available in a cost effective manner to protect the residents, property, and environment of Harrison County and minimize public and private losses. The following dual missions will be accomplished under the direction of the RSD Board of Trustees in collaboration with other community stakeholders as appropriate. Our wastewater mission is to reduce pollution, promote public health and safety, and support residential, commercial, and industrial development in Harrison County by providing for the collection, treatment, and safe disposal of wastewater. The RSD may construct and operate sanitary sewer systems or contract with other entities as needed to reduce failing or inadequate systems. Our stormwater mission is to reduce the threat of pollution, erosion, and flooding by establishing requirements, standards, and regulations for managing the quantity and quality of stormwater runoff entering Harrison County's watersheds. The RSD may construct drainage improvement facilities as needed. Specific plans will be developed for managing the quantity and quality of stormwater runoff on an individual watershed basis.